Sri. 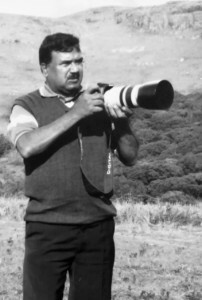 K M B Prasad, a former Deputy Conservator of Forest (Retd.) and a well-known wildlife photographer from Bangalore, Karnataka, brings us an interesting slideshow on the behaviour of the elephants and the man-animal conflict, a conflict which has become one of the biggest conservation challenges today in different parts of the world. Mr. Prasad took up photography in the year 1992 and has been honoured with the International distinction of ARPS from London and AFIAP from France. His photographs have been featured in the Biennial World Cup competitions in different countries. He has bagged many awards and acceptances in State, National and International Level photography salons. Mr. Prasad has worked in the task force formed by Government to capture the most dreaded forest brigand Veerappan and his associates. He was promoted to ACF in 1997, again he worked at Bandipur for 3 years. Later in June 2012 he was promoted to the cadre of DCF and got retired during Jan 2014. 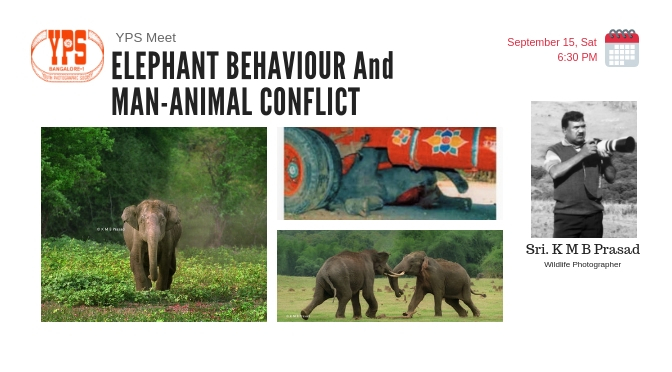 Lets us meet this Saturday to know about the behaviour of the Elephants and the escalating man-animal conflicts.